This Resurrection Sunday we continued on in Philippians 2, focusing on verses 9-11, where God through Paul has told us that God has highly exalted Christ Jesus, so highly that all will acknowledge that he is Lord, to the glory of God the Father. You may listen to the sermon in the audio below, or download the mp3 file here. This Good Friday we focused on Philippians 2:8, noting that for us Christ humbled himself by becoming obedient to the point of death. You may listen to the audio of the sermon in the player below, or download the mp3 file here. 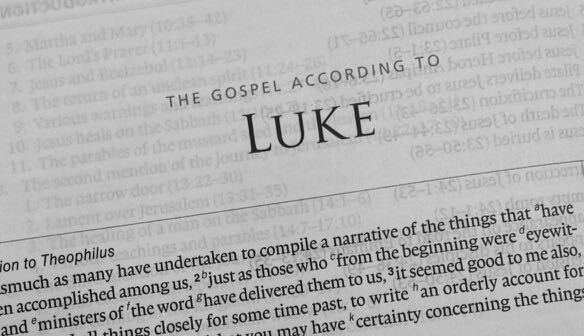 This week we focused on Luke 5:12-26, where we heard that Jesus showed extraordinary compassion to a leper and a paralytic. You may listen to the audio of the sermon in the player below, or download the mp3 file here.